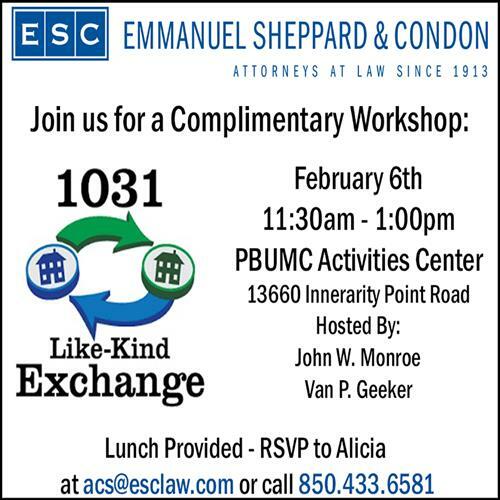 Join us for a Complimentary Workshop on1031 Like-Kind Exchange hosted by John W. Monroe and Van P. Geeker! Lunch is provided, please RSVP to Alicia at acs@esclaw.com or call 850.433.6581. RSVP to Alicia at acs@esclaw.com or call 850.433.6581.